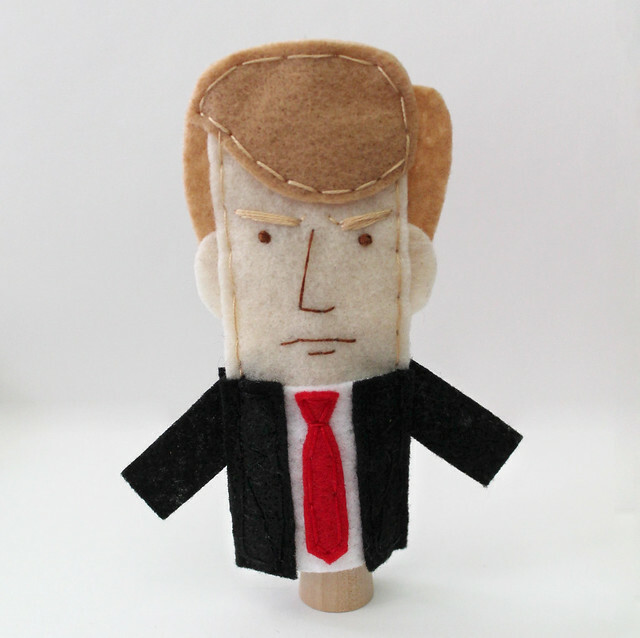 Of all the things I love about running my little business, one of my favorites has to be when people come to me with surprising, fun, and off the wall custom puppet requests. 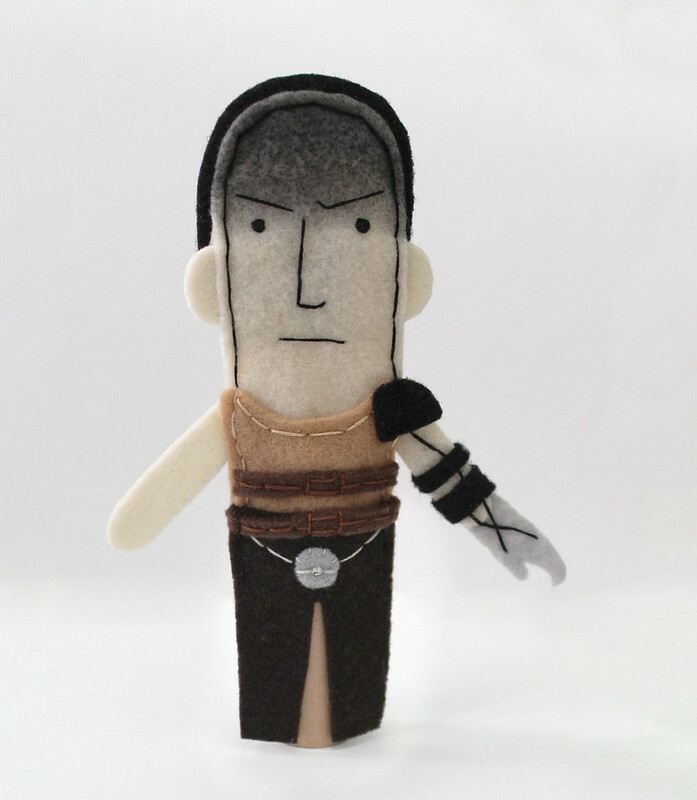 I was recently approached with two very “now” ideas– a custom Imperator Furiosa, Charlize Theron’s character from Mad Max: Fury Road, and everyone’s favorite (?) buffoon, Donald Trump. How’s that for a broad spectrum, right? As forFuriosa, Mad Max is one of the few movies we saw this summer, and I thought it was a lot of fun. It was great to see an action flick with a badass lady at the center, not to mention one that actually passes the Bechdel test. The idea of an Imperator Furiosa puppet was immediately thrilling and terrifying, mostly because she had so many details that would require experimentation. Of course there would be that crazy prosthetic arm and harness, but most importantly, capturing her dark black make-up was a must to make the puppet work. After some thought and experimentation, I found that black ink applied with my fingers worked perfectly to achieve the effect I was going for. It took about three applications to get the color dark enough, but I was thrilled with the final look. I had to pick and choose which details from her costume to include, since there were so many. The arm harness was particularly complex, but I feel like the pared-down version works well. I especially like the transition from her arm to the claw portion at the end. 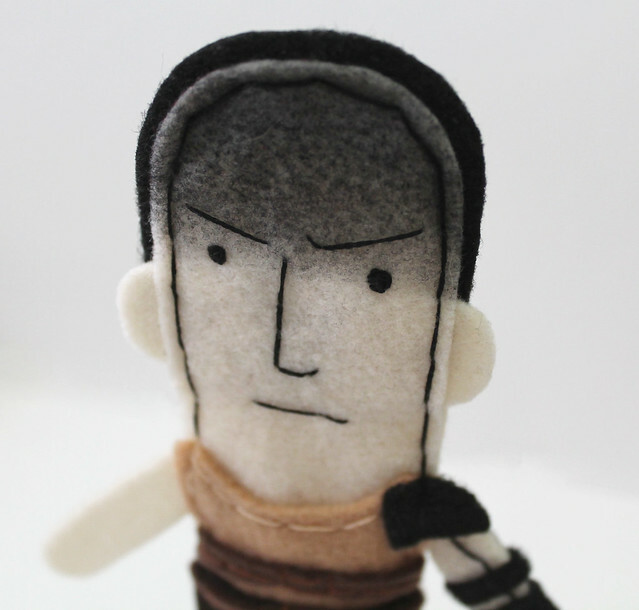 Got a crazy puppet idea of your own? Get in touch— I’d love to make it happen!